Closed the garage door? Check. Still feel like you’re forgetting something? Okay so I doubt you’re actually forgetting Kevin, but you may be overlooking a very important part of travel safety – Travel Insurance. I’ve read quite a bit on travel insurance and I think it’s safe to say that ALL insurance companies have a handful of negative reviews. But so many of them can stem from inaccurate reading of their policies and misunderstood information. Insurance is a complicated thing, so it’s beneficial if you take some time to figure it out before you find yourself in a situation where you need it. My goal is to give you all the tools you need to make an informed decision where WorldNomad’s travel insurance is concerned. You can check out this online beginners guide to travel insurance, and compare several insurance companies by clicking on the big orange button. This is one way I learned that World Nomads is a top contender. So why choose World Nomad’s? Buy on the fly! Not only can you purchase your insurance after you’ve already begun your adventure, but you can also extend it as your plans change which was a huge selling point for me. Flexibility is key! Travel insurance from WorldNomads.com is available to people from 140 countries. 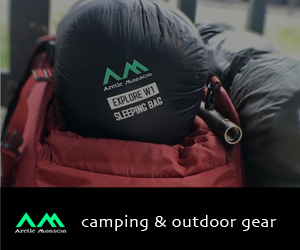 It’s designed for adventurous travelers by adventurous travelers with coverage for overseas medical, evacuation, baggage and a range of adventure sports and activities. When I headed to Switzerland I knew I’d be hang gliding (you can read about that here), and when I took an impromptu trip to Cappadocia I knew I’d go hot air ballooning. While spending a few months in Thailand I knew I’d be motorbiking. The list goes on, but there are small details that need to be considered. Checking out the list of adventure activities that are covered is extremely useful when planning a trip, and those activities can vary greatly depending on the country you’re visiting. Everything is online! How much more convenient could it get? Anywhere in the world, wherever you are, whatever time it is, you can file a claim, make changes, contact support, etc., all with a few clicks of a button. Lost or stolen goods including baggage and personal belongings. 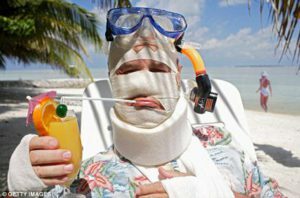 Many travel insurance companies expect receipts, but who has time for that!? With WorldNomad’s you can just send photo’s of your valuables! Easy as pie … so be sure to take those much needed photo’s before you leave on your adventure. Trip cancellation, interruption, or delay. Whether it’s due to sickness or injury, or because you flight or tour has been cancelled – it’s covered! Medical Coverage up to 100,000 USD. Accidental Death and Dismemberment. Morbid, but necessary. WorldNomad’s cover a lump sum in case of your death, and also payout if you lose body parts, limbs, or even your eyesight. Offers a 24/7 service called “One Call” which provides anything and everything you could need in an emergent situation. Trusted reliable underwriters – WorldNomads.com is backed by a suite of strong, secure, specialist travel insurers who provide you with great coverage, 24 hour emergency assistance and the highest levels of support and claims management when you need it most. Value for money with the coverage you need – WorldNomads.com provides coverage for what’s important for travelers from all walks of life. By focusing on what you need and leaving out what you don’t, World Nomads prices are some of the most competitive online. Flexibility when you need it most – Have a change of plans? You can buy more coverage or claim online while you are still away. You can even buy a World Nomads policy if you’re already traveling. Coverage for a range of adventure activities – From skiing & snowboarding in New Zealand to whitewater rafting in Colorado, WorldNomads.com covers a range of adventure activities, giving you peace of mind to get the most from your travels. World Nomads keeps you travelling safely – All WorldNomads.com members have access to up-to-date travel safety alerts, as well as travel safety advice and tips online through the World Nomads Travel Safety Hub. More than just great value travel insurance – All WorldNomads.com members can learn the local lingo through a series of iPod & iPhone Language Guides and can stay in touch with family and friends with an online travel journal. Commitment to exceptional customer service – Find out more about why travel insurance is important for your trip. 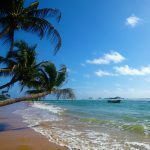 If you have any questions about your travel insurance or travel safety in general, you can always contact WorldNomads.com directly. Be sure to actually read your policy. It’s lame and tedious I know, but take an hour or so and just do it. It’s extremely important to know what is covered and what isn’t. Unfortunately, so many people purchase their policies without ever laying eyes on them. This is where the majority of negative reviews stem from. If you have questions or just want clarity, call them directly! WorldNomads has great customer service. That’s just the name of the game. If you want to be reimbursed, you’ve got to prove you had it in the first place. Time stamps are fabulous for this reason! Take a photo of your pack, your belongings, your valuables. Everything you are taking with you, take a photo of it and if you can manage it, take a photo with you and your stuff! Document your illness! If you get sick or injured, take a photo. If you have to go to ER or a doctors visit, keep your documentation and receipts. Take photos of those things just for good measure! I can’t stress this enough – it’s very important to actually prove your need for reimbursement, otherwise you’re just setting yourself up for disappointment. Fill out a few questions and check out your quote! You’ll find that the pricing is quite competitive! Have you used WorldNomads? Or other travel insurance companies? I’d love to hear about your experiences! Share them below! Oh no! Yeah it doesn’t help to tell ya that that expense would have been completely taken care of! I’m so sorry! Totally agree on all points, James! Wow, I had never even thought of that before. i guess the rate depends on where you go and stuff, huh? Just thinking aloud. 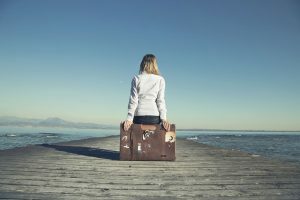 I am one of the many people who are risking everything when they go on a trip, even a domestic one. Knowing there is an insurance company for that kind of thing could be priceless!! The rates aren’t bad at all! And completely worth it, in my opinion. Don’t get me wrong, when I was much younger I took trips and didn’t even know that travel insurance was a thing! But as I’ve gotten older and my trips get farther and longer, priorities change — and this is definitely at the top of the list! I thought this was very informative and just about as entertaining as you can make talking about insurance. 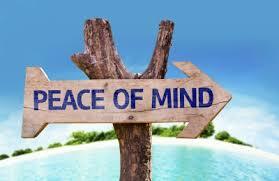 I hope you never have to use your insurance but agree that it is nice peace of mind! Thanks for sharing personal stories of your friends. Even the best planners can’t plan for everything. The more you travel, the more likely something is to go wrong! Better to be safe than sorry! Haha yeah I was actually almost dreading writing up an insurance review — but it’s so important! Thanks for reading and I’m happy you found it informative!